Fly even when the weather is lousy! Log complex time! Keep your skills sharp! 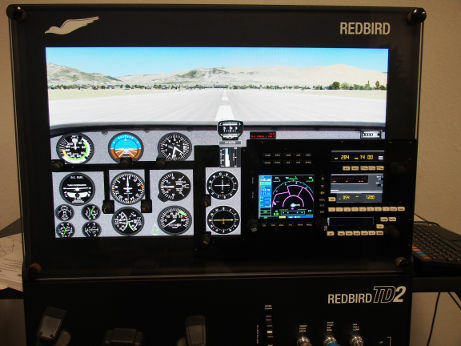 Check out the Flight Center’s FAA-approved Redbird TD2 Flight Simulator, available for rental with and without flight instruction. See the pricing page for current rates.